My first tutorial! The first few tutorials I’m going to put up are very easy projects and are nothing unique or original. I figured we should start with some really basic items and then we can get into more add-ons, embellishments and complicated patterns later. And this is also really good tutorial writing practice for me. I would LOVE feedback on things that I missed or things that need clarification. Although I’m starting with a really simple project, I am not starting from the very beginning. 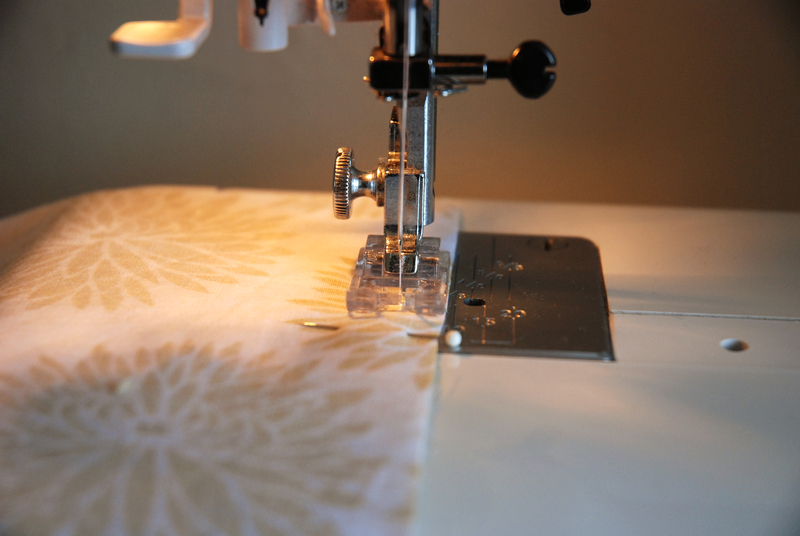 I’m assuming that you already know the basics of how to use your machine and use some of the basic stitches. If not, that’s ok! 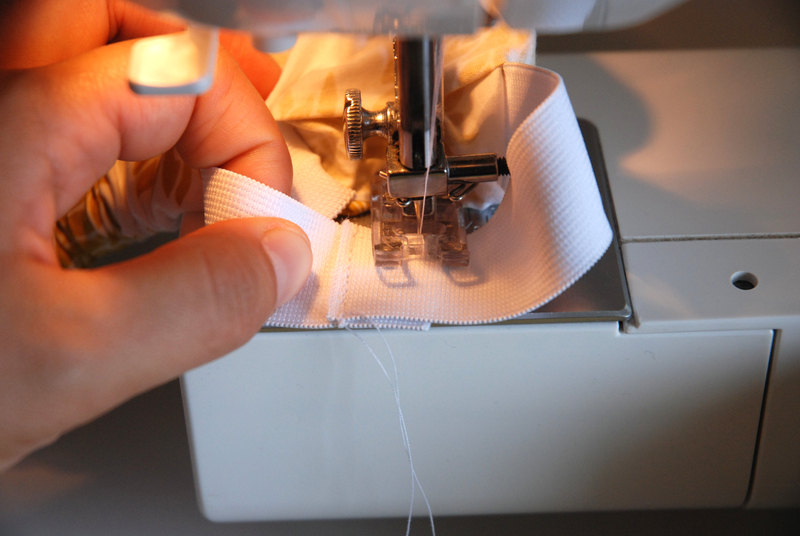 Just search the internet for some sewing 101 info and I’m sure you’ll find TONS of helpful tutorials. 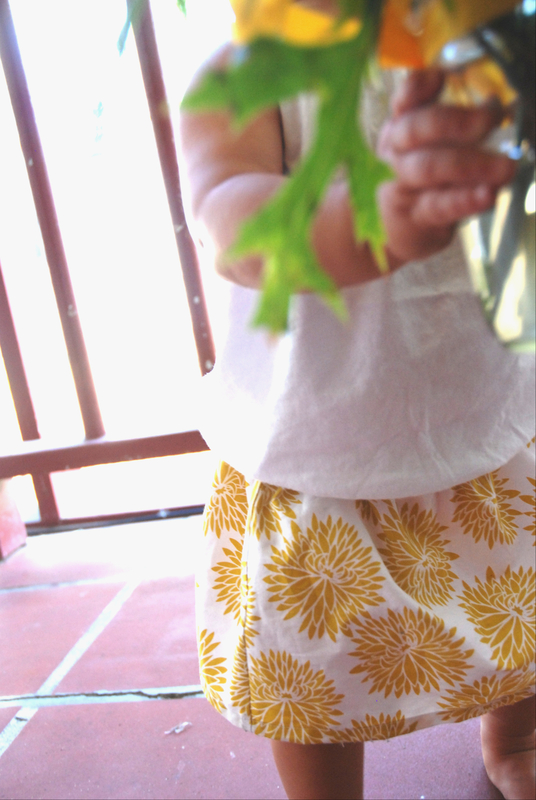 So today I’m going to show you how to make a simple skirt for a toddler. This is probably one of the most basic pieces of clothing you can make. If you haven’t already, take a look at the supplies I consider essential for almost any sewing project. And that’s it! 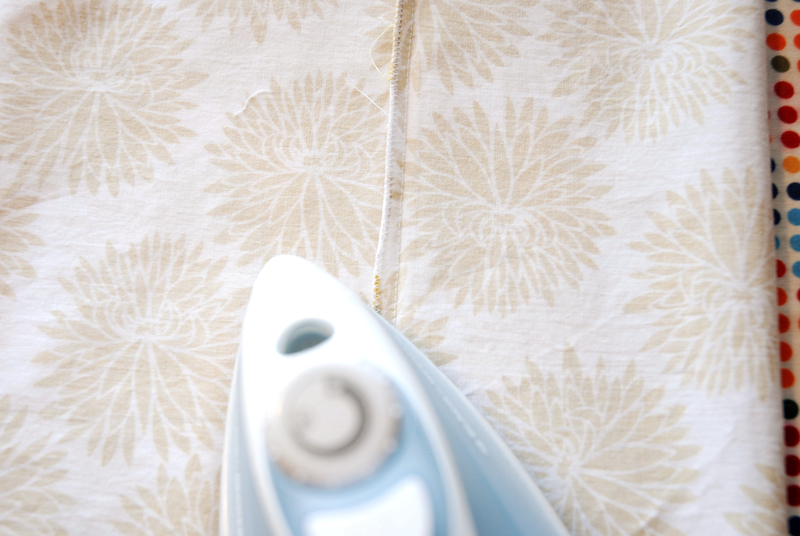 First (and always) wash, dry and iron your fabric. The amount of fabric and elastic will depend on the size of the skirt you are making, but I’ll try to help you figure that out. You’re going to be cutting 2 rectangles of fabric. It’s easiest if you fold your fabric in half and cut them at the same time. Here’s how you figure out what size to cut your rectangles. First, measure the child’s waist. This will be the width of your 2 rectangles. For example, if the child has a waist size of 17 inches, you’ll want 2 pieces of fabric that are 17 inches long. If you can’t measure the child, find a pair of pants or a skirt that fits them and measure the width and then double it. 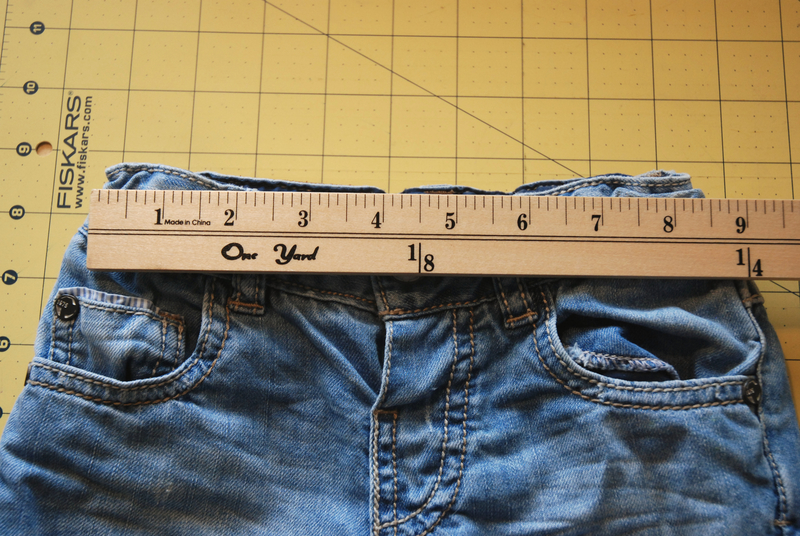 In this case, the pants measure 8.5 inches across, so if you double that you get 17. Again, you’ll want 2 pieces of fabric of this width. For the length, measure the desired final length of the skirt from the waist and then add 3 inches. 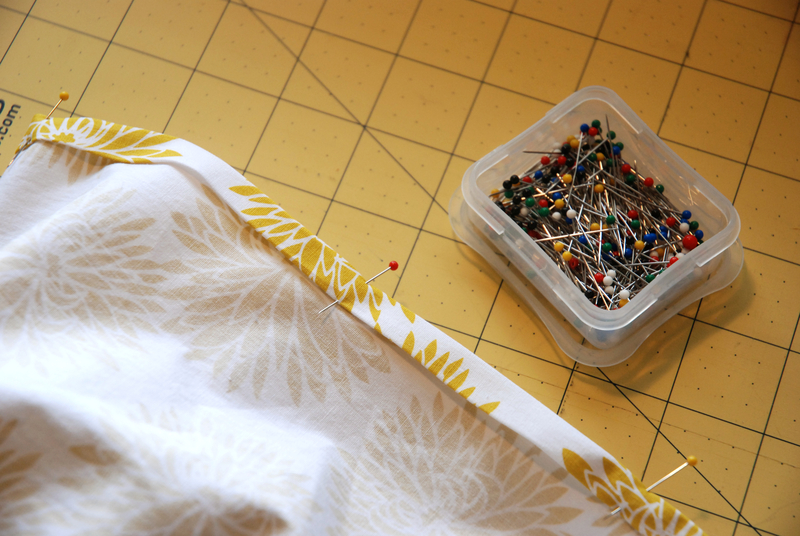 It’s always better to have extra fabric that can easily be shortened when hemming, than to cut it too short. I wanted the skirt to be 8 inches long, so I cut my fabric to 11 inches. 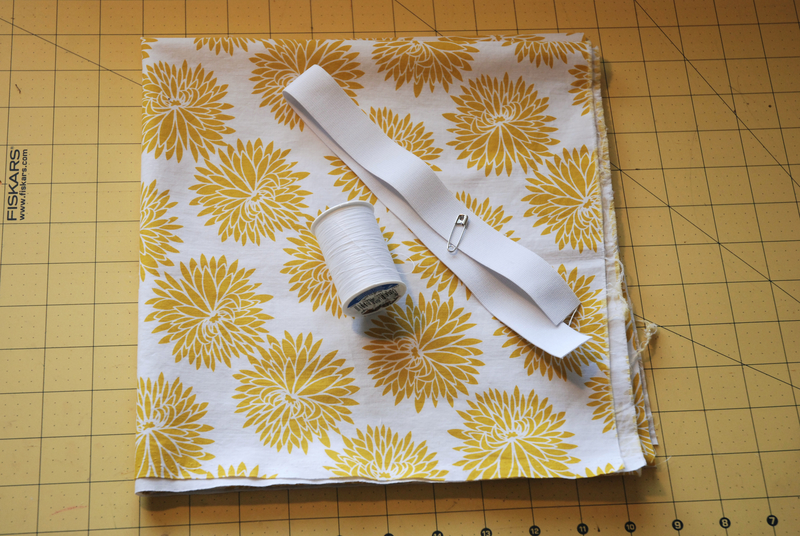 You’ll want enough elastic to go around the waist and then add 1 inch for sewing the ends together. 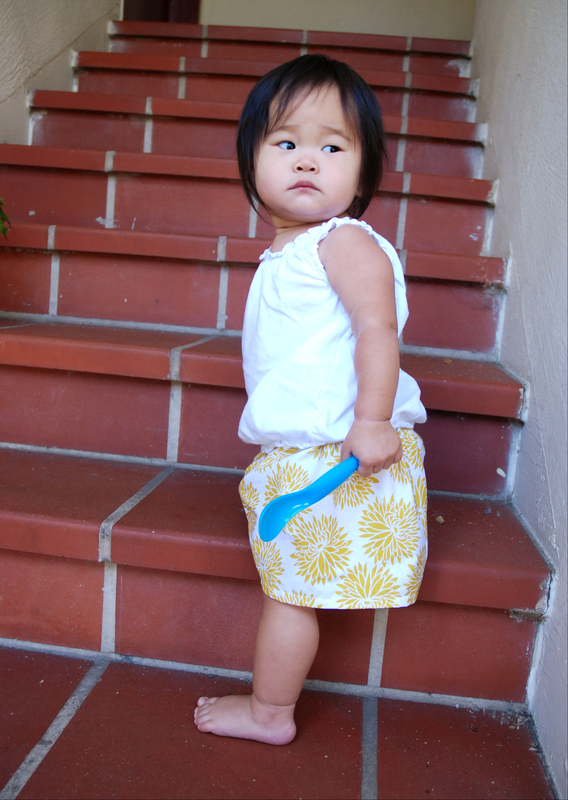 This will leave plenty of room for your little one to grow into the skirt (longer wearability)! I cut my elastic to 18 inches. Here are my two rectangles: 11×17. Now we’re ready to start sewing! 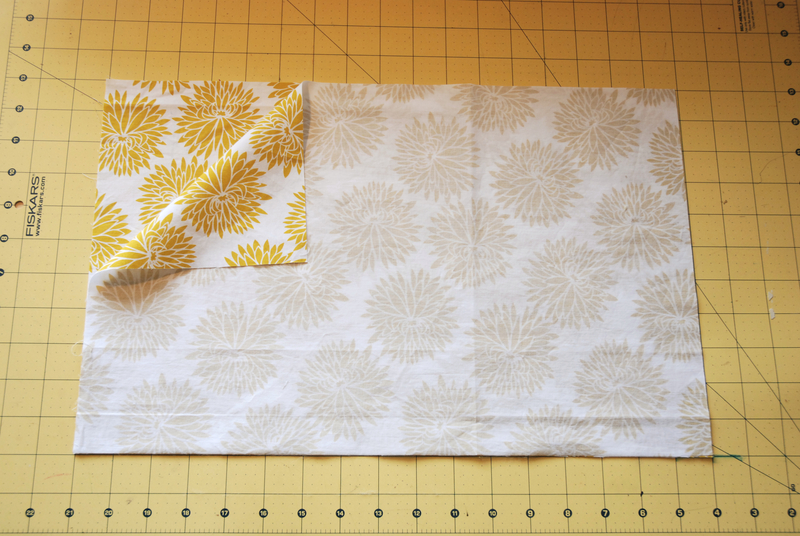 Place your 2 rectangles on top of each other RIGHT sides together (The right sides refer to the side of the fabric you want to show when finished, the wrong side is the side that faces in when finished. 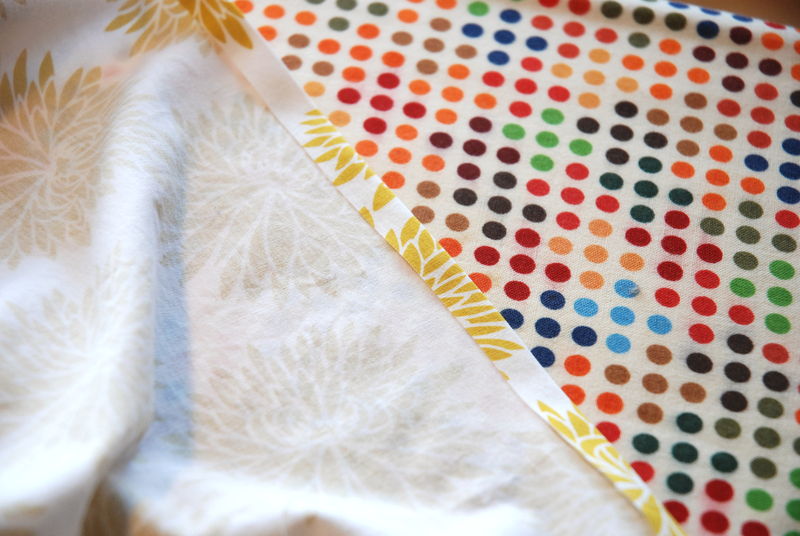 Most fabrics have a right and wrong side which you can tell by the print. Some don’t). 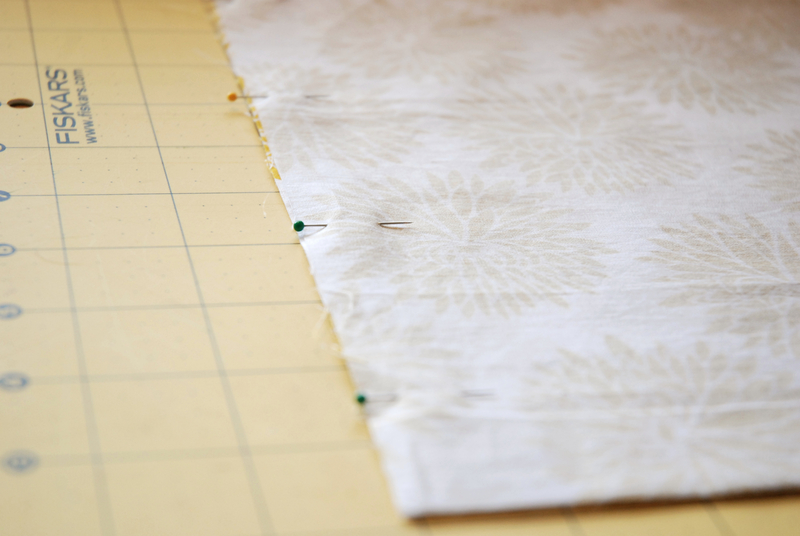 Pin up the sides and sew a straight stitch about a 1/4 inch from the edge. Back stitch at the beginning and end (always!). 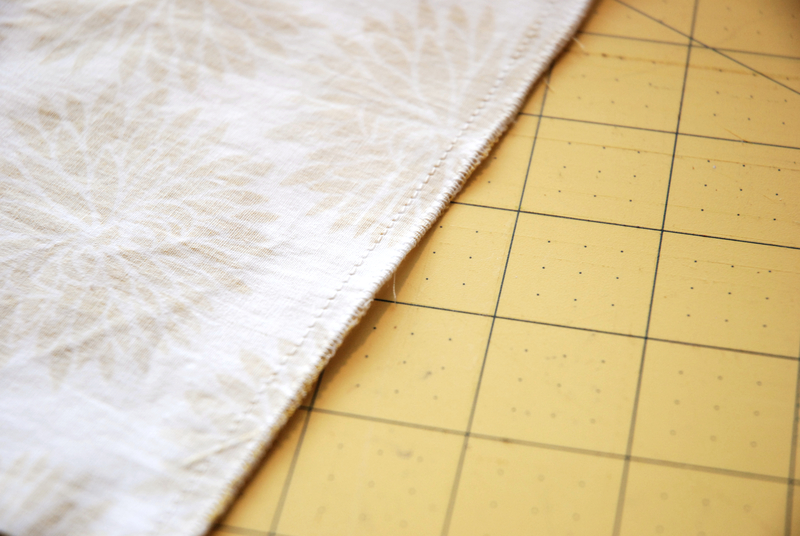 If you want, you can zig zag stitch the edges to prevent fraying. Now we’re going to do the waist. Fold the top edge down about a 1/4 inch and press. 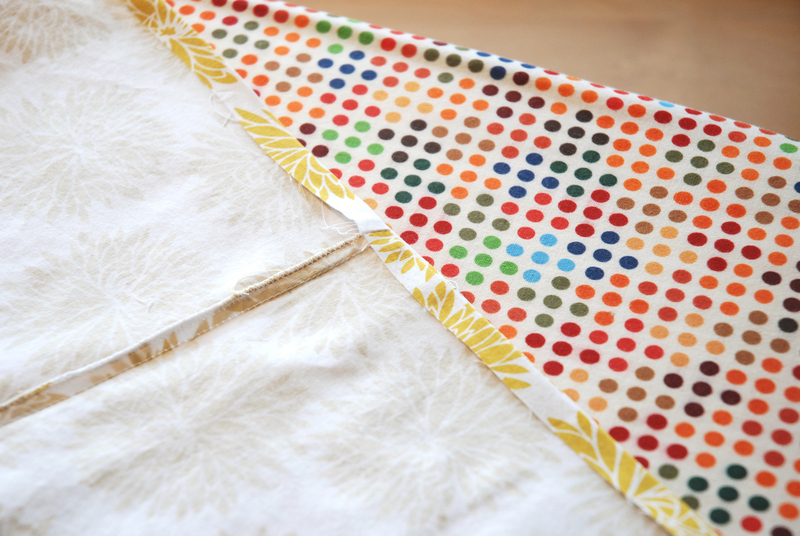 Now fold the fabric down again and make sure that your fold is slightly larger than your elastic. Press and pin in place. Sew along the folded edge. I like to start in the back about 1 inch right of the center. 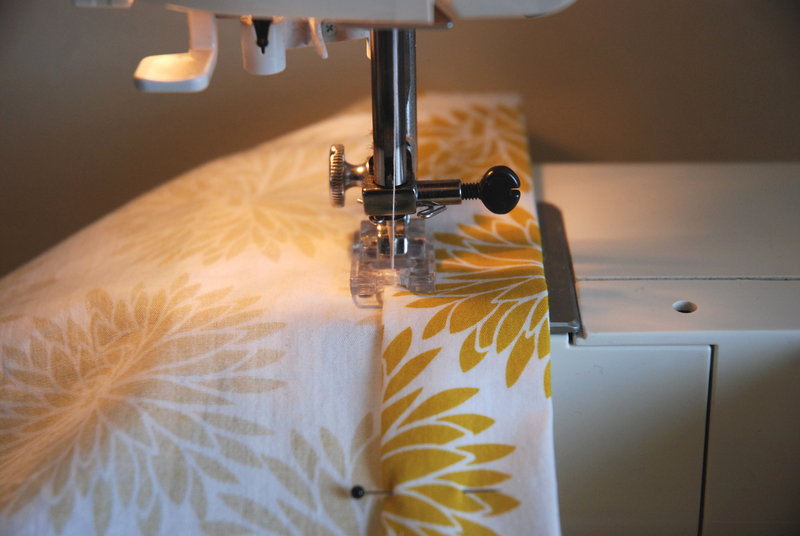 Sew all the way around and stop 2 inches from where you started leaving an opening to slide your elastic through. 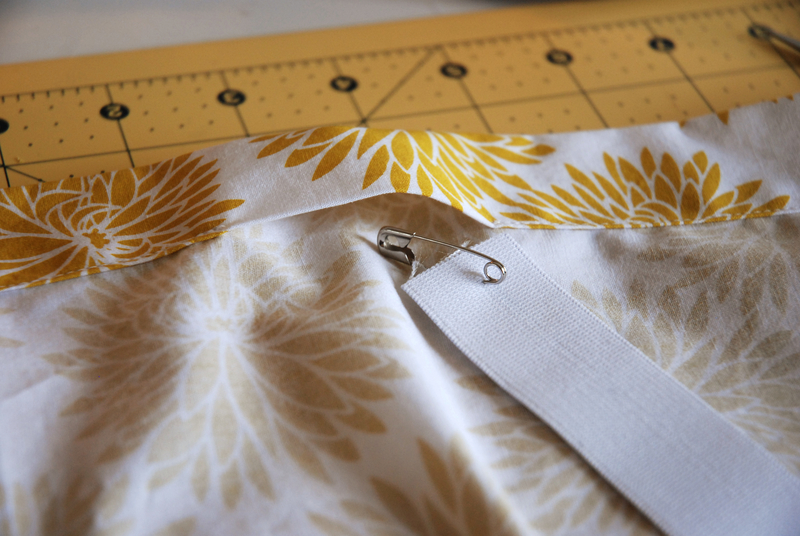 Attach the safety pin to one end of the elastic and push it all the way around the skirt back through the opening. Overlap the two ends of elastic about 1/2 an inch and sew them together. Close up the opening by sewing along the edge. We’re almost done!! Now we just have to do the hem. 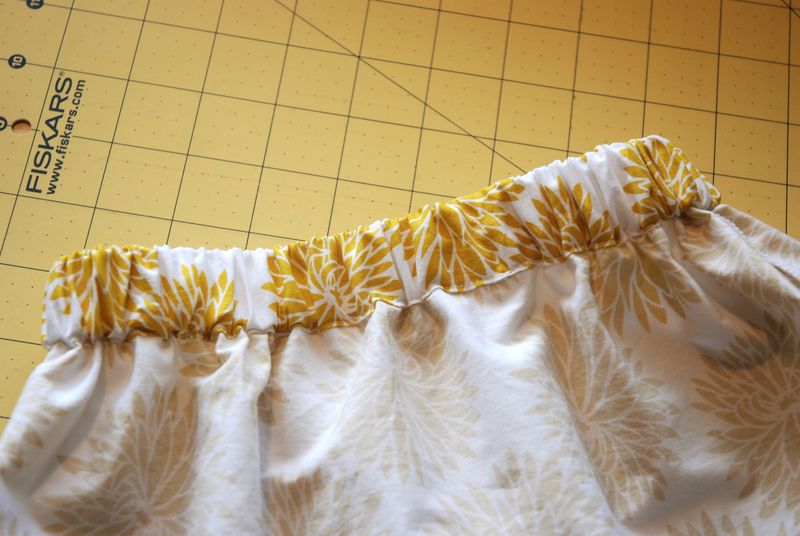 Fold the bottom of the skirt up about a 1/4 inch and press. Make another 1/4 inch fold and iron again. Pin and sew. Now step back and admire your handy work and how cute your little one looks. Take pictures and then show them to me! Phew, for a simple project, that was still a lot of directions. I hope you were able to follow along, but if there is anything that needs clearing up, please let me know! And really, if you make this project, I’d love to see your pictures. 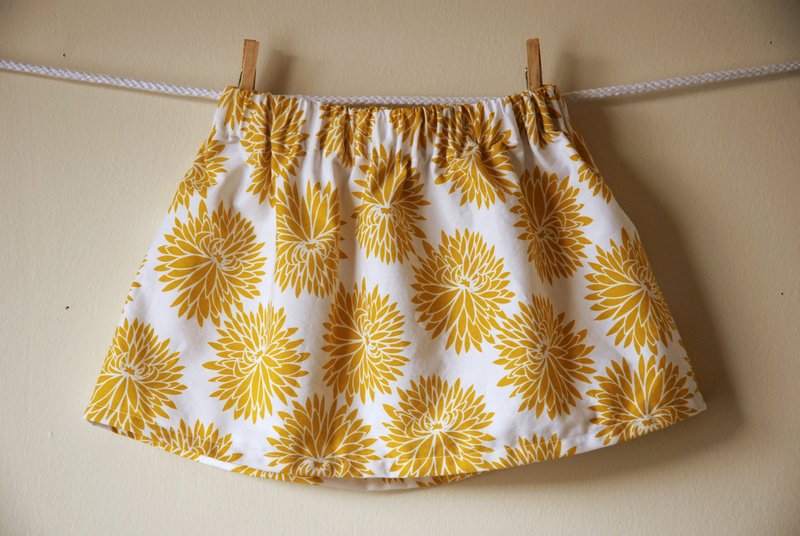 For the next tutorial I’ll show you a few ways that you can spice up your simple skirt! This entry was posted in tutorials and tagged girls, simple skirt, skirt, tutorials by Cherie. Bookmark the permalink. omg how freakin cute is she!? Love the tutorial and i love that you started with something simple! Hi there. Made the skirt today, thanks for all your points. My daughter chose black material. After I made it she took it off and said she didn’t like it. I asked her why and she told me it was due to the colour!!!!!! The only thing in your tutorial that made it hard was your use of inches. We use the metric system so had no idea what you were talking about. It was a practice skirt, so am sure I will just get better! Thanks. Thank you so much for giving me the need to sew again !!! Reblogged this on Mamans et Filles. Oh my gosh thank you! This is the first thing I have ever successfully made on my sewing machine! Cant wait to put it on my wee 14 month old! Thank you soooooo much! Yay! What a great feeling! 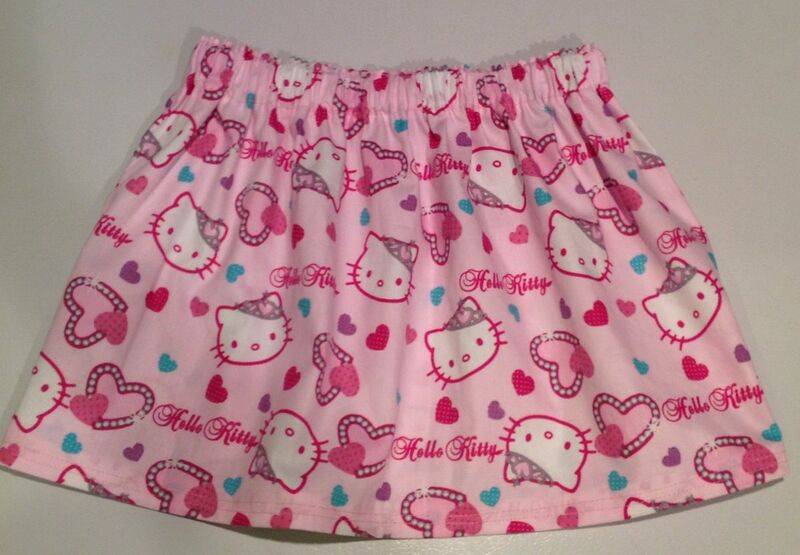 Just finished making a lovely Hello Kitty skirt for my daughter. Thanks for posting this tutorial! This is exactly what I was looking for! So easy to follow and turned out perfect. My daughter is 2 and decided she wanted to refuse to try it on lol but, I love it. Thank you! 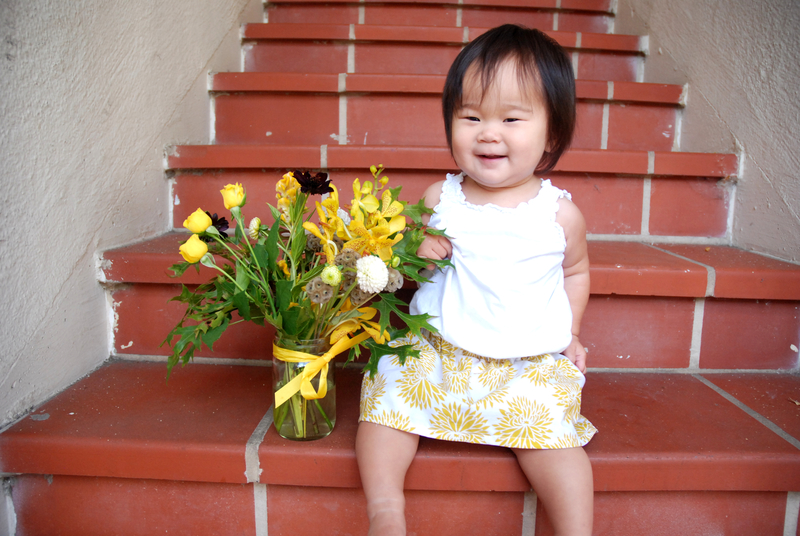 Pingback: super simple baby skirt sewing project – diy | Begin Again. Your tutorial was very easy to follow! The one I made for my daughter turned out great. 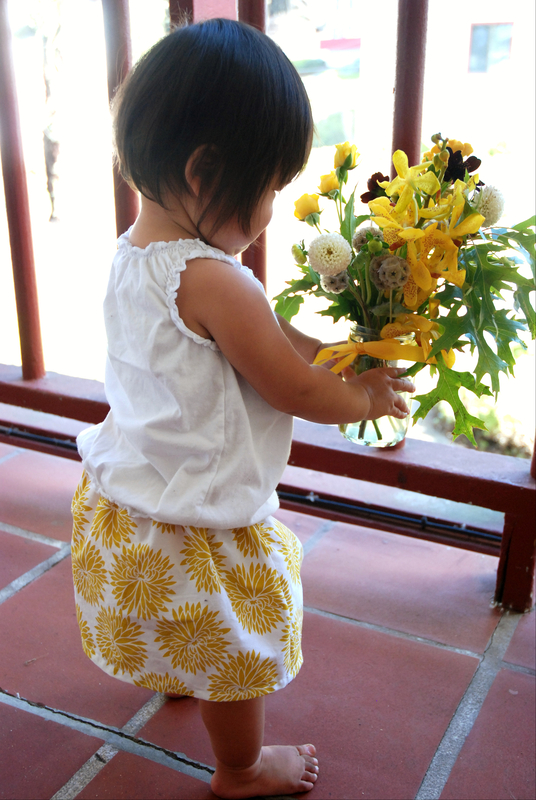 I’m unsure of how to post a photo, but she loved the skirt. Aw, I’m so happy to hear that!! Your daughter is the cutest! I am a beginner sewer so the skirt might turn out really bad when I make it! Just to make everything clear, in the picture, when you say ‘Press the seams open’, it looks like you are just ironing the seam to the left. Did you do that because you had zig-zag stitched them and if I didn’t do that would I then press them open or am I just looking at the picture wrong?! If I can, I will send you the finished product! Hi! Yes, you’re right. I zig zag stitched my seams together so I couldn’t press them open, so I just press them towards the back side. How did your skirt turn out!? I’mgoing to return once again since i have saved as a favorite it. Did you sew both sides of the rectangle together (to make a tube) before you sew the elastic band? Thanks. This is adorable! What width of elastic did you use? 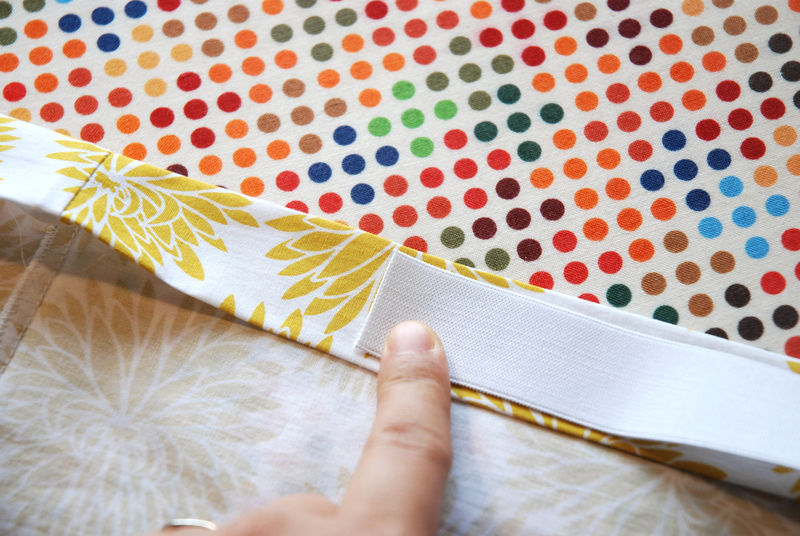 For waistbands I usually use 1″ wide elastic. 3/4 inch can work for smaller sizes too. It’s up to your preference! I absolutely love the fabric you used! You wouldn’t by chance know if it still exists to purchase, would you? Would it make a different if you did the hem when you are doing the straight stitch at the top for the elastic? No difference, that’s a great idea!